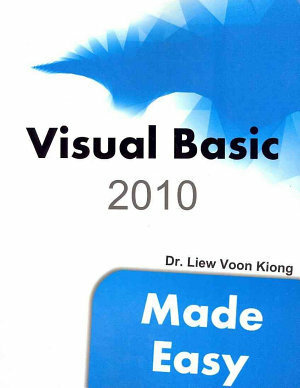 In this lesson, you will learn how to write Visual Basic 2010 code that can make decisions. It will process input from the user and control the program flow and outcomes based on the decisions. Decisions making is an important part of programming because it can solve practical problems intelligently and provide useful output to the user. For examples, we can write a VB program that can ask the computer to perform a certain task until a certain condition is met or a programme that will reject non-numeric data. In order to control the program flow and to make decisions, we will introduce the If...Then...Else control structure. To write VB code that involves If...Then...Else, we need to use the conditional operators and the logical operators. The conditional operators are powerful tools that resemble mathematical operators. These operators allow a VB2010 program to compare data values and then decide what actions to take. For example, to execute an event or terminate an event. They are also known as numerical comparison operators. These operators are typically used to compare two values to see whether they are equal, one value is greater or less than the other value. The comparison will return a true or false result. These operators are shown in Table 9.1. Sometimes we might need to make more than one comparisons. In this case, using numerical comparison operators alone is not sufficient, we need to use the logical operators. The logical operators are shown in Table 9.2. The aforementioned operators are usually used to compare numerical data. However, you can also compare strings with the above operators. In making strings comparison, there are certain rules to follows: Upper case letters are less than lowercase letters, "A"<"B"<"C"<"D".......<"Z" and number are less than letters. To effectively control the Visual Basic 2010 program flow, we shall use the If control structure together with the conditional operators and logical operators. There are basically three types of If control structures, namely If....Then statement, If....Then... Else statement and If....Then....ElseIf statement. Label2.Text = " You win a lucky prize"
* When you run the program and enter a number that is greater than 100, you will see the "You win a lucky prize" statement. On the other hand, if the number entered is less than or equal to 100, you don't see any display. Label2.Text = " Congratulation! You win a lucky prize"
Label2.Text = " Sorry, You dif not win any prize"
Label2.Text = " Sorry, You did not win any prize"
* This program uses the logical And operator besides the conditional operators. This means that both the conditions must be fulfilled in order for the conditions to be true, otherwise, the second block of code will be executed. In this example, the number entered must be more than 100 and the age must be more than 60 in order to win a lucky prize, any one of the above conditions not fulfilled will disqualify the user from winning a prize.